Wanna be a Basecamp power user? Hone your skills with these pro tips, tricks, and shortcuts to get the most out of Basecamp! If you have a few to-dos that all need to be assigned, grouped, deleted, or archived, use the bulk tool to make that happen quickly and easily. Click the menu icon (three horizontal lines) next to one of the to-dos you want to add bulk actions to. Press Command + Shift (Mac) or Control + Shift (Windows) and then click on all the to-dos you want to bulk assign, archive, delete, or group. Are you part of a project that you don't need notifications from? If you unfollow, you’ll still have full access to the project but notifications will be muted. You won’t hear from the project unless someone specifically @mentions you or assigns you a to-do. 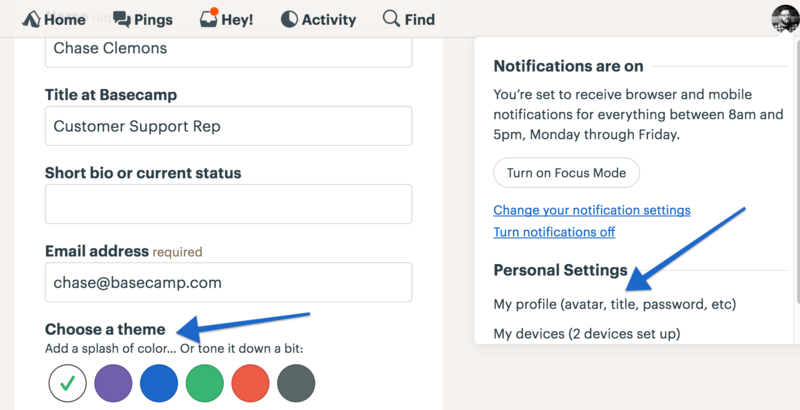 Did you see a conversation happening that you want to get notifications for? Click "Subscribe me" to subscribe yourself to that thread. Included in a conversation and don't need the comment updates? Click the "Unsubscribe me" button at the bottom of the page to remove yourself from that thread. Need to quickly jump between projects and teams? The jump menu is great for that! Need to spend some time focused on your work? 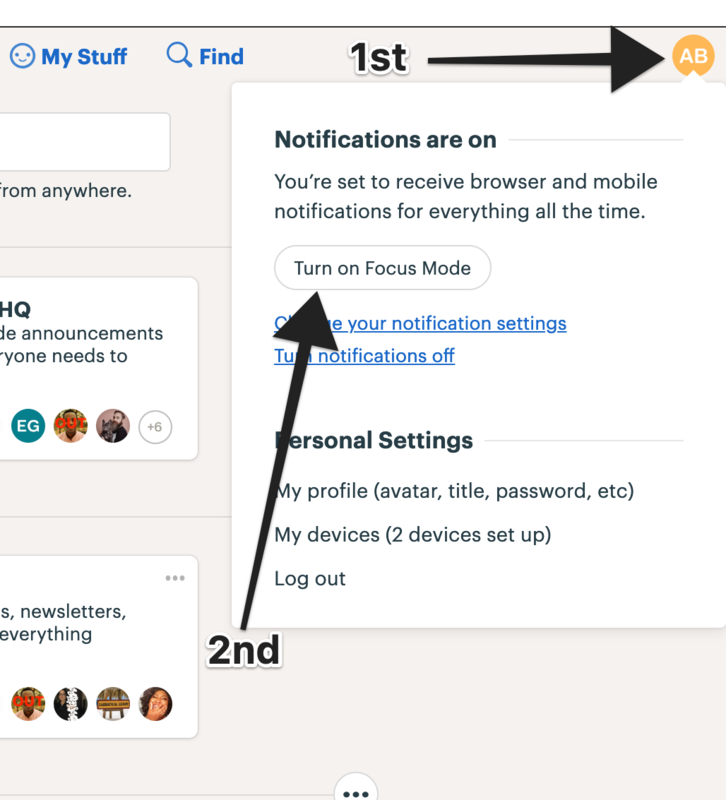 With Focus mode, notifications and orange unread badges are turned off. They'll automatically turn back on tomorrow. Want to add a splash of color or tone things down a bit? Pick your own color theme! You can add emoji anywhere you can enter text in Basecamp. 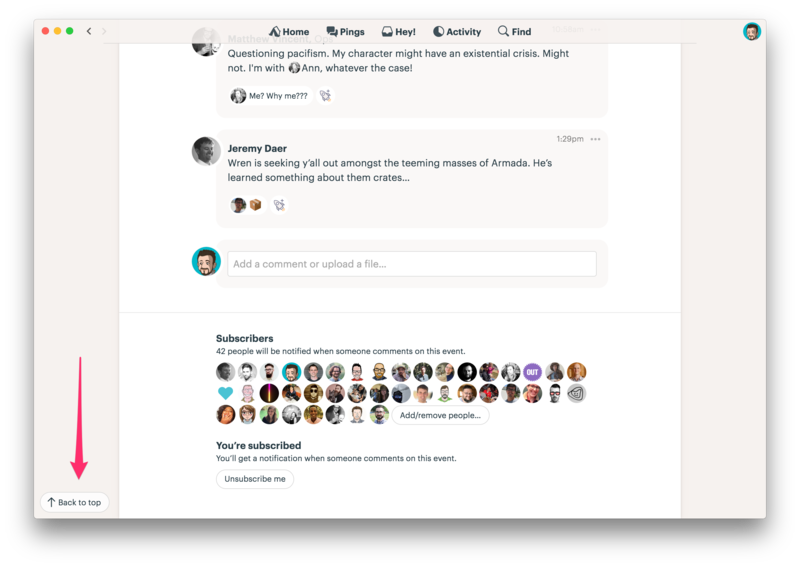 You might use them to visually group similar projects, designate priority in a to-do list, jazz up a Campfire chat, or give someone a quick Boost. On a Mac, use control + command + space bar to pull up emoji. In Windows 8, look for the keyboard icon in the Windows taskbar in the lower right corner. If you don't have the keyboard set up, here's how. If you're using Windows 7, you'll see emoji in black-and-white only (how avante garde!). Here's the update you'll need to use emoji. Only using a few of the tools in a project? Customize the set up for each project by turning off the tools you don't need. 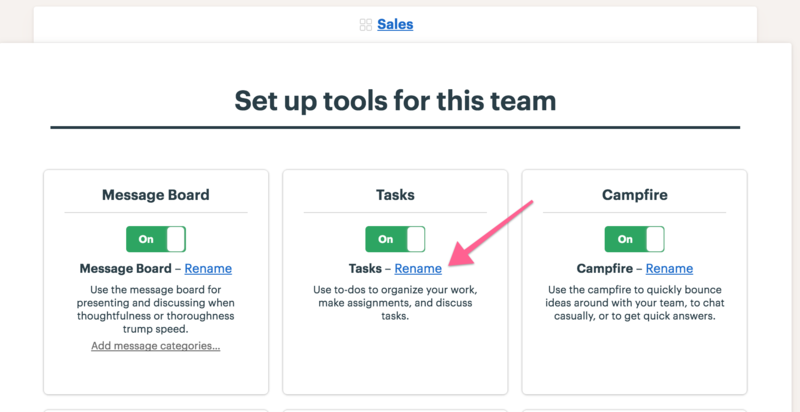 Rename tools to describe to your team what should go there. Now that you've finished this guide, make sure to check out the Working in Projects guide as well as the Working with Clients guide. They're great resources for after you've set things up! 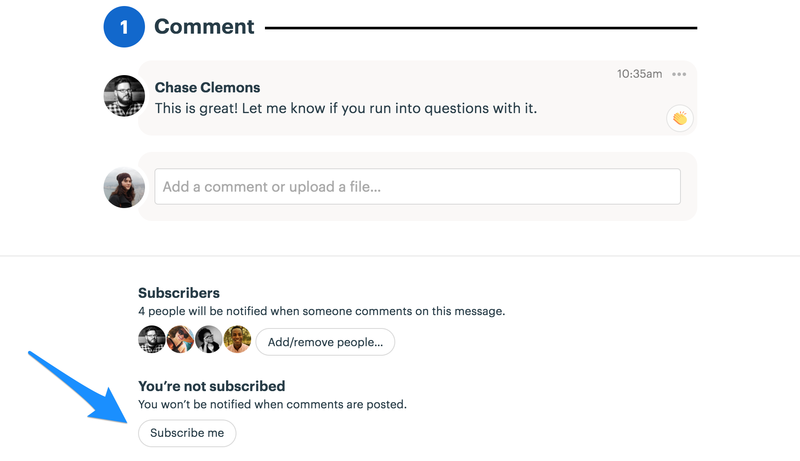 That's a one-way ticket to the top of the page that should help you surface from a long post or comment thread.